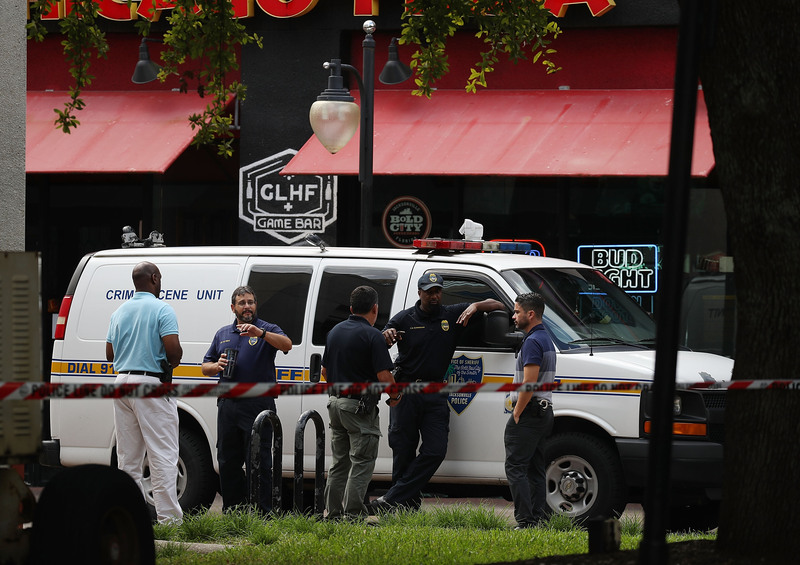 Enlarge / Law enforcement officials investigate a shooting in the GLHF Game Bar where three people including the gunman were killed at the Jacksonville Landing on August 26, 2018 in Jacksonville, Florida. A survivor of the recent shooting at a Madden NFL 19 tournament in Jacksonville, Florida, has filed a lawsuit against Electronic Arts, alleging that the company was negligent when it failed to provide adequate security at the venue on August 26. Three people died at the incident, including the shooter. Seven others suffered injuries, including the plaintiff in this case, Jacob Mitich. He took bullets in his leg and back during the shooting. Lawyers representing Mitich also argued that EA did not perform adequate due diligence to determine that the host of the venue, Chicago Pizza, had the proper permits to hold such an event. Worse still, EA did not have “adequate security measures,” including metal detectors, wands, or backpack inspections. The lawsuit names not only EA as a defendant but also The Landing’s ownership group and one of its tenants, Chicago Pizza, which also included the GLHF Game Bar. Electronic Arts did not respond to Ars’ request for comment. However, the same day that the lawsuit was filed, EA said it would establish a fund to support victims of the shooting. The company donated the first $ 1 million and invited other gamers to contribute as well at this GoFundMe page. For its part, The Landing, through its spokeswoman Katie Boyles, declined to respond to Ars’ questions.